Within the management of an online store, one of the most time-consuming things is the management of questions and problems from users. In fact, these types of issues do nothing but saturate the email addresses created to receive them. There have even been cases where emails have not arrived correctly and therefore could not be dealt with swiftly. This conveys a sense of disinterest from the store to the user that you cannot afford. However, thanks to Ticket Service Pro, you will be able to integrate all of these services with a single module, to be able to quickly and efficiently attend to the most important part of your business, your customers. 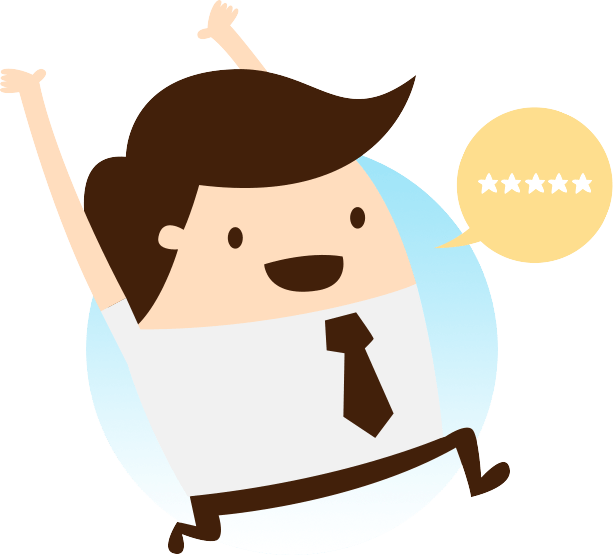 What functionalities does Ticket Service Pro provide? We will go into more detail in a moment, but this PrestaShop module has everything necessary to ensure a comprehensive customer service management. No prior knowledge required. You do not need to have notions of programming, as the system itself is responsible for managing both the user's tickets and the FAQ section. Completely editable fields. With Ticket Service Pro you can edit all the tickets fields. In this way you can create a template specifically designed for what the user requires, to ensure you get the information you need to resolve any issues as quickly as possible. Comprehensive ticket management. Tickets opened by users will not be sent to an email address where they can be lost. This module for PrestaShop offers a simple interface where you can easily read all the tickets that arrive, and answer them at the same time. By having everything centralized, management of these issues is much simpler, and above all, much faster. Integrated smart search engine. If you need to look for a ticket, you will not have to spend a long time searching among all the ones you have received. Thanks to the smart search engine that is integrated into this module, you will be able to find it easily. Another feature that will allow you to improve speed and efficiency when dealing with clients. Creation of the FAQ section. 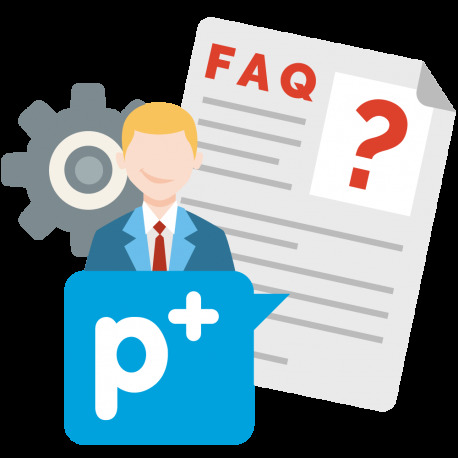 Ticket Service Pro incorporates a simple interface from which you can create your own FAQ section. Thanks to this section, you will give the user a valuable resource to answer their queries without the need for them to contact you. Saving you time in the management of emails and tickets. Management of the FAQ section. The FAQ section may be modified based on the needs of your clients. Modifications can be managed perfectly from the system so that you can always keep your frequently asked questions completely up to date. Responsive design. It does not matter where your customers view frequently asked questions and answers, or from where they wish to send a ticket. Information will always be displayed correctly by the system, thanks to its adaptive design. Mark a ticket as a priority. With this option you can select a ticket as a priority depending on the response level of your customer's store. For example: shipping delays, problems when processing the purchase, etc. Assign the person in charge of a ticket. You can assign the person you want to answer the ticket according to their level of knowledge on the subject in question, so that it is easy and effective. Create the departments of each ticket. With this option you can add departments such as: support, sales or shipping, that you want your customers to select with their respective message depending on the request or request thereof. Open, close or put tickets in progress. Ticket Service Pro allows you to open, close or put your tickets in process for your clients to see that they are working on their incidence, therefore, this will generate confidence and tranquility. Add extra fields to collect ticket information. In case you want additional information for your ticket you can do it through this option. Highly compatible. This module is perfectly compatible with version 1.6 of PrestaShop. [*] FIX: Fixed problem of compatibility in product autocompletion when creating ticket. [*] MOD: Query query is improved in the adminsitrator's list. [-] FIX: Error is corrected to attach files later in response messages. [-] FIX: Fixed display errors for version 1.5 of prestashop. [-] FIX: Error is corrected together with the plugin jquery.filer so that files that are added by Drag & Drop are attached. [-] FIX: Fixed problem in the list and FAQ categories menu in PrestaShop version 1.5. [-] FIX: Fixed problem in WYSIWYG editor load that was presented in some versions and / or browsers. [+] ADD: Ahora se tiene acceso rapido a la cuenta del cliente desde el ticket que se revisa. - New version for PrestaShop 1.6 & 1.5. Muy buen módulo y buena empresa. Modulo 100% recomendable, como todos los modulos de Presteamshop funciona bien, tiene una interface facil y limpia y por supuesto la ayuda que te dan es impresionante. Lo dicho, lo recomiendo. Excelente modulo que te permite gestionar rápida mente con una simple mirada que ticket hay que contestar ya que se quedan unificados en un mismo modulo y no hay que estar pendiente de la bandeja de entrada del correo constante mente.